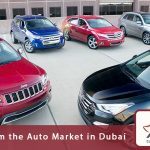 The wholesale markets in Dubai are strategically and vital in the continuation of the trade exchange movement by merging all categories of these markets. The wholesale trade in Dubai opens to us many markets associated with all activities that enhance the ability of institutions and companies to settle in the economic market, so the cheapest prices available in the wholesale market, the higher the profit rates for companies. Therefore, it is necessary to search and find goods from Dubai in bulk and deliver them in different shipping and delivery methods using shipping companies in Dubai. Al Fares Cargo Services provides all means to complete the land freight, sea freight and air freight from Dubai to all land, sea and air ports. Dragon Market in Dubai is one of the most important wholesale markets in the UAE, it has a huge asset of purchases and sales from all visitors and has become a major target for all destinations of companies and individuals that provide products and goods at discounted prices for its customers. This market is for all visitors, and there is nothing that you can’t find within it. It has a full range of shops and Chinese companies that provide integration in all goods and commodities (clothing, household appliances, electrical appliances, electronic devices, building materials and decorations, furniture and office furniture, Handcrafts and craftsmanship in the highest models possible). The Nayef Pazar in dubai is a vital center for wholesale outlets in the UAE in general and in Dubai in particular. It is a mix of consumer products and spare parts. The market has many directions for those seeking spare parts in Dubai and a range of goods and electronic goods such as telephones, make-up and perfumes. The customer can access the Nayef Dubai market, and the wholesale market in Dubai for all accessories for smart phones and electronic products needed for many industries, and all at good qualities and low prices. With a reference to the clothing wholesale market in Dubai, the Okaz Dubai market is described as one of the largest markets for clothing. It is filled with the best fabrics within the cloths for men and women, so it is a target to attract the commercial market revolution and increase the volume of the wholesale market in Dubai. The gold market continues to have a strong influence in the day-to-day movement of the local and global economy. The availability of such markets with all its consumer goods and materials, fabrics, perfumes and cosmetics in the UAE provides an important effect for companies and brands to inject capital that blends with many categories and divisions and the Murshed markets provides, including wholesale perfume deals in Dubai. 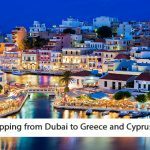 This market is a multi-marketing destination for visitors to get the best wholesale products in Dubai for it’s consistency of a large number of shops specialized in shoes, bags, consumer goods and many cosmetics and perfumes, so it is the best place to go to for wholesale shoes in the UAE and wholesale fragrances in Dubai. Among the wholesale markets in Dubai, and specifically in the center of Deira shopping Mall, the carpet market is the largest market for wholesale furniture in Dubai because of the stores that have strong cabinets in the best textiles from the leading countries in the carpet, offering a complete package to get all kinds of carpets At the wholesale price in the UAE. With Al-Fares cargo facilitations, you can provide a complete list of all your items and ship them in the multi-line package offered by Al Fares, including shipping from Dubai to Saudi Arabia, Bahrain, Kuwait, and many other destinations which are suitable for the client’s request of destination. It is essential to enhance the consumer market with a cargo partner that offers land freight, sea freight and air freight in the UAE, because it became an important factor in providing the needs of living. Therefore, this particular market located in fahidi area in bur Dubai contains many electronic devices stores that provide computers, printers and others as well as mobile phones, as it is one of the most important mobile phone markets in Dubai, to meet all the requirements of the phone and electronics market. With the increasing demand for electronic devices and toys, Dubai’s Sabkha market, representing the most important wholesale markets in Dubai, has grown to meet the needs of food, spices, home supplies, clothing, footwear and perfume at the best prices and best brands. The wholesale markets in Dubai continue to grow and develop continuously and contains many offers and products to meet all the needs of individuals and commercial customers within a full range of goods and commodities that require daily consumption of food, fabrics, and others of perfume materials and gold, rather than the electronic equipment and hardware markets. 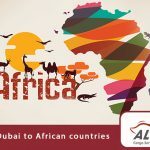 This is supported by many shipping companies in Dubai, Abu Dhabi, and the UAE and through Dubai’s land freight and sea freight partner, which is provided by AlFares Cargo, including shipping and forwarding services from Dubai and Abu Dhabi to all international African and European markets.